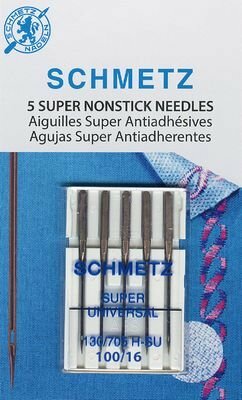 These needles have an anti-adhesive coating (NIT) to help when sewing through adhesives. Extra large eye, and reinforced blade to prevent skipped stitches and provides a residue-free needle. GREAT FOR OUR COLLAGE QUILTING!